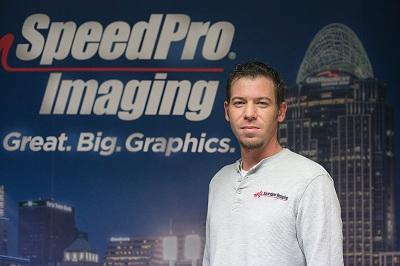 Rob Tonetti acquired this Speedpro Imaging franchise location in June, 2016. The franchise has been an award winning supplier of large format graphics in Northern Cincinnati for over 10 years. Rob always wanted to own a small business and was attracted to this business for two main reasons: the high quality products this franchise produces and the great people on the Speedpro team. Before owning Speedpro, Rob spent 18 years with Ashland, Inc, most recently as a National Director of Sales. He earned his bachelor’s degree in Mechanical Engineering from the University of Notre Dame and his MBA in Marketing and Finance from Indiana University. Rob has been married to his wife, Elaine, for 20 years. They have three beautiful daughters: Isabelle, Nicole and Rebecca. Rob enjoys playing and watching soccer and watching and attending Notre Dame football games. Go Irish! Joe graduated from Mount St. Joseph in 2005 with a BFA in Graphic Design. 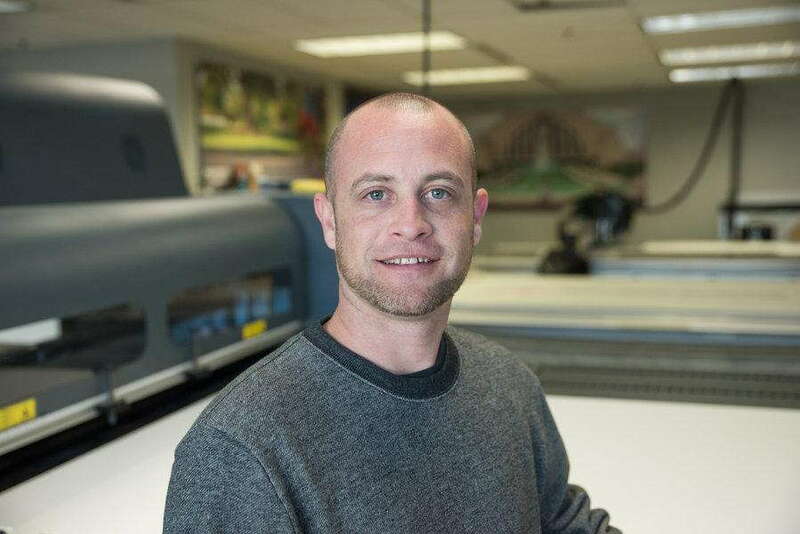 After working for a few years with offset bulk printers, he decided he wanted to start working with vehicle wraps and large format digital printers and joined the Speedpro family in 2008. It still amazes him, even after working here for over 8 years, how many different applications we can use our equipment for! Roger started his Speedpro career as the first Director of Business Development in October of 2015. 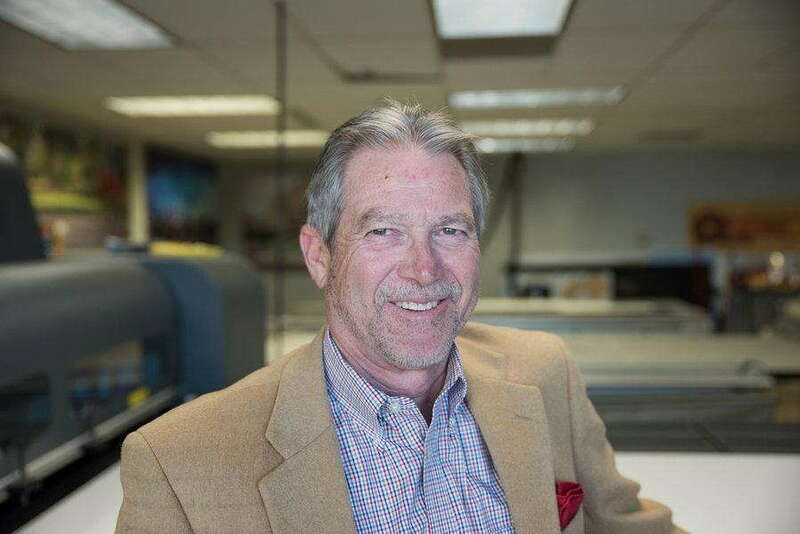 His experience in print management sales spans 30 years, in the Greater Cincinnati Area. “I enjoy meeting with clients and future customers to provide unique and creative graphic solutions.” A graduate of both the University of Cincinnati and Marshall University, Roger spends time mixing golf, camping and fishing with some travel adventures. Blaine joined the Speedpro team in early 2017. He graduated from the Art Institute of Cincinnati (AIC) with an associate’s degree in graphic design. 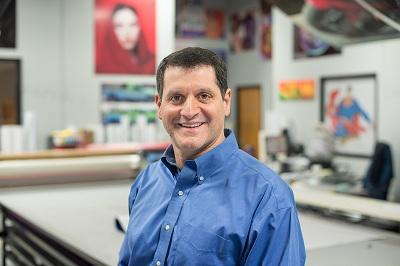 He is excited to be working with large format printing and being able to produce eye catching graphics. Outside of work, Blaine loves spending time with his wife and daughter and their two dogs. He enjoys watching and going to Ohio State and Cincinnati Bengal games.